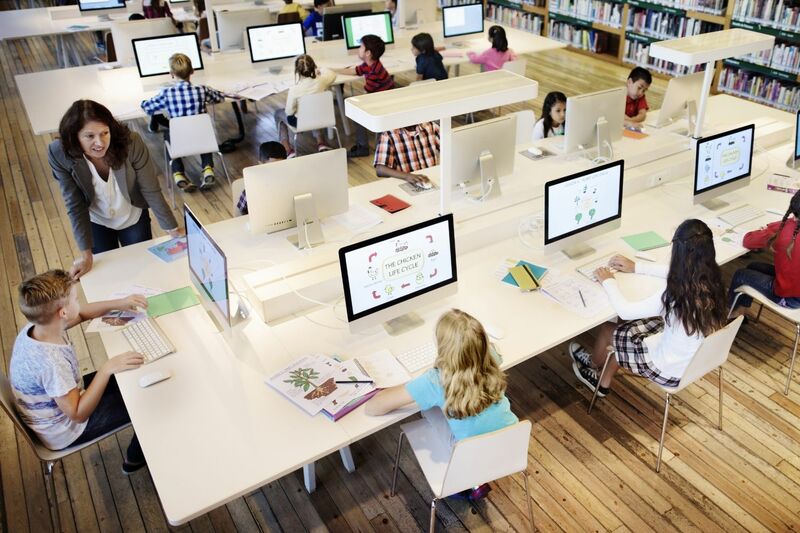 The National Centre for Computing Education (‘NCCE’) has secured funding from BT, Rolls-Royce and Arm to improve the reach and quality of computing teaching across England. This industry investment will complement the Government’s £84 million investment to create the NCCE. Three quarters of large companies and just under half of small medium enterprises are affected by a digital skills gap, posing a major risk to business growth, according to a government report, Digital Skills for the UK Economy. Bridging this shortage in digital skills requires investment now so that a world-class computing education is offered to students from an early age. Equipping schools, colleges and teachers today ensures that England has a workforce suitably prepared for tomorrow. BT is a strategic partner and will contribute significantly over the next four years, putting the Barefoot teaching resources for primary age children at the heart of the NCCE’s offer for primary school teachers. The BT-funded and managed Barefoot computing programme delivers free classroom-ready teaching resources for primary schools, in line with the national curriculum. BT will also be creating a new network of Barefoot Ambassadors and sponsoring teacher bursaries to enable Barefoot teachers to access NCCE training. As part of their ambition to ensure no child is left behind Rolls-Royce will sponsor bursaries for schools to enable them to take full advantage of the opportunities on offer through the NCCE. This will complement their extensive existing school engagement programme delivered through STEM Learning’s Project ENTHUSE. Arm will also sponsor bursaries enabling teachers in areas where pupils make the least progress and have the poorest access to high-quality schools, to access Continuing Professional Development through the NCCE. Furthermore, the Arm School Program is working with its partners – including the NCCE and Computing at School – to develop quality, free-to-access teaching and learning resources. This investment will particularly help increase the number of pupils in schools and colleges studying computer science at GCSE, AS and A level, particularly girls and those in disadvantaged areas. The National Centre for Computing Education (NCCE) was established in November 2018 with £84 million of Government funding and was supported by a further £1 million from Google to develop training for secondary school computing teachers. The government’s decision to substantially invest in computer science in schools followed a Royal Society report, After the Reboot, which showed computing education across the UK was patchy and fragile. It called for action to be taken in a swift and coordinated way by government, industry, and non-profit organisations. The NCCE aims to increase the number of pupils in schools and colleges who study computer science at GCSE, AS and A level, particularly girls and in disadvantaged areas, and ensure that there is a strong pipeline of digital skills. The NCCE is funded by the Department for Education and is being delivered by a consortium of STEM Learning, Raspberry Pi Foundation and BCS, The Chartered Institute for IT.